February already? It's hard to believe that the next newsletter will be sent out just a few weeks before the official start of spring. Looking out the windows at the Ag District it's especially hard to believe since the ground is covered with snow and the temperature is hovering around 13°F. But don't worry.... it's perfectly comfortable inside and the building is full of delicious aromas wafting up from the kitchen. 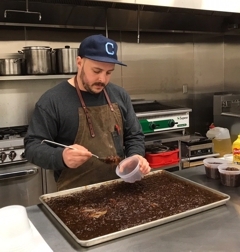 Chef Chris is prepping goodies for the upcoming weekend and Laurie and her crew are ready to welcome you in out of the cold! So come on out... grab a hot pizza and a bottle of wine and chase away those winter chills at the Ag District! All the new activity at the Ag District and around the farm has created some great opportunities for enthusiastic, hard-working, and passionate people who would like to join our team! We are always looking for tasting room associates and currently have openings in the kitchen as well. 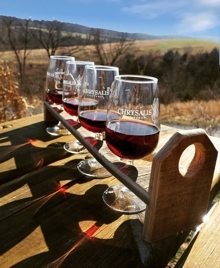 If you are interested in exploring these opportunities email us at info@chrysaliswine.com with a brief description of your experience and availability. Our VIP Club pickup event for February will be held on FRIDAY, FEBRUARY 22nd from 6:00pm - 8:00pm. PLEASE NOTE THE DATE AND TIME and mark you calendars! Our fall and winter hours began on November 1st and we are open 10am - 5pm 7 days a week. Please remember… as always, our last full tasting will start an hour before closing. Last call for purchases of open bottles or glasses will be 30 minutes before closing! 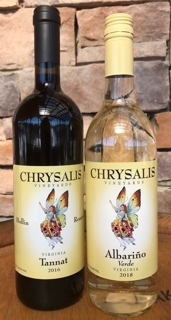 The red wine selection for our VIP Club members this month is Chrysalis Vineyards 2016 Tannat. Hailing from the Madiran region of southwest France, where Tannat is the primary grape grown and used for blending, this black-berried grape has found a perfect home in Virginia. The first impression is one of stewed red and black fruits, plums and blackberries in particular, leading to a soupçon of Christmas spices, cigar and dark coffee. Imbibing delivers all of this plus a very noticeable touch of cranberry. The big structured tannins and moderate acidity portends a long life in the bottle. The tannins in this wine pair well with foods that are rich with fat. Try it with a dinner of herb roasted lamb for a perfect evening. Our white wine selection for February is Chrysalis Vineyards 2018 Albariño Verde. This wine is an homage to the Vinho Verde wines of Portugal. When made with Albariño (or Alvarinho as it’s known in Portugal) it’s called Vinho Alvarino and is known as the “premium” variety for this style. This style of wine is characterized by its light and crisp texture, intense fruit, and slight effervescence. The 2018 vintage is a perfect example of a classic Vinho Verde. Enjoy this wine with a big bowl of spicy jambalaya at your Mardi Gras celebration! As a reminder to our members, all VIP wine is available for pickup at the Ag District Center tasting room anytime during regular business hours. If you can’t make it out to pick up your wines on a monthly basis, we will hold them for you. Due to storage limitations, however, we do ask that you pick them up once you accumulate a case (6 months). We can also arrange for wine to be shipped to most locations, at your request. Also, please remember that you can always find your paired recipes and detailed tasting notes at www.ChrysalisWine.com in the Private VIP Club Area. Also check in with us or follow us on Facebook for updates and announcements. NOTE: Please do not reply to this emailed Newsletter. Your email will not be handled in a timely manner or may even be lost. So... come on out, escape the cold, and spend a fun afternoon laughing, creating your own masterpiece, and sipping your favorite Chrysalis Vineyards wine! This 3 hour event is just $40 and includes all art supplies, an awesome staff, and a lot of fun. No experience is necessary. For additional information please contact Creative Mankind at 571-403-1912 or go to their website listed below. [Editor's Note: cut and paste this long link if it doesn't activate by clicking on it. Thanks.]. 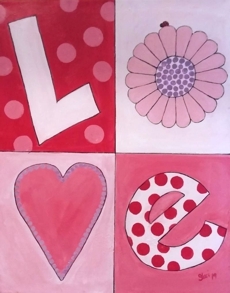 Bring your sweetheart out to celebrate Valentine's Day with a special paired wine flight! 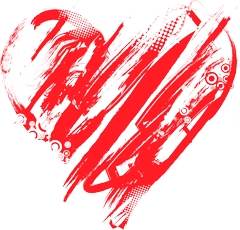 Choose from our two special Valentine's Day flights, Sweet & Sparkling (featuring our Norton Buttorfleoge, a naturally sparkling red wine) or Heavy Hearted (a selection of dry reds) and pair it with your choice of delicious truffles from the Little River Bakhouse or farm-fresh cheeses from Locksley Farmstead Cheese! This treat will only be available February 14-17, so be sure to mark your calendar and make a trip out the the Ag District with your favorite Valentine. Paired flights will be offered at $25/person while supplies last. We have so many exciting things happening in our Tasting Room! If you have not been out to visit us in the last few weeks we insist you take the time to make the trip to see us. You have been missing out on a lot of exciting things! Cheese, Pizza and Wine Flights are all here waiting for you to enjoy! We are now offering Wine Flights and we have THREE to choose from. The All Clear offers stunning sips of our white wines, the Red Eye will delight you with a selection of our delicious smooth and inviting reds and the Jenni’s Native Norton gives you a beautiful sampling of the World’s Best Nortons. We knew our guests would welcome the chance to sit and enjoy a sampling of wines while enjoying one of the warm from the oven pizzas our Chef, Chris Vancenzi, has been creating on weekends here at The Ag. District. But why stop there? Grab a bottle or two and come spend the afternoon with us. Our views are beautiful, especially when covered in fresh fallen snow. 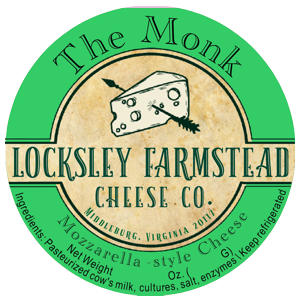 We look forward to seeing all of you in our Tasting Room soon enjoying not only your favorite Chrysalis wines but also some delicious Locksley Farmstead Cheeses and some tantalizing creations from Little River Bakehouse. The Ag District isn’t just about wine! Come and see for yourself! Spring cleaning is happening a little early this year. We’re taking apart the entire cellar, moving what can be moved, scrubbing floors, walls, everything, and putting it back together. Every empty barrel is getting pressure washed on the inside and then steamed to sanitize them. 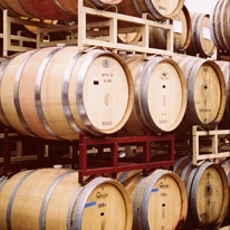 In a well run cellar, every vessel or piece of equipment is held in a ready to use state. In the laboratory, every wine lot is getting scrutinized with a panel of analyses. The goal is a cellar in which we have a thorough knowledge of every wine. At the end of the month we’ll be bottling the 2018 Sarah’s Patio White. This wine is 100% Vidal Blanc with about 1.5% residual sugar. Vidal Blanc performed well as a variety in 2018 and this translates through to the wine. It’s stainless steel-fermented and fermented cool to retain Vidal’s delicate aromas. Vidal is a hybrid of the French variety Ugni Blanc (which is a transplant from Italy where it is known as Trebbiano) and Rayon d’Or, itself a hybrid. It was originally bred in the 1930’s for brandy production in France. But because of its winter hardiness, it has found a home in Canada and along the East Coast. We’re also bottling the 2018 Mariposa, a blend of 43% Petit Verdot, 40% Tannat, and 17% Nebbiolo. This rosé wine is made like a white wine with whole cluster pressing the grapes and fermenting only the juice. Petit Verdot and Tannat yield plenty of color from their skins just by pressing them without any maceration at all. While these are unusual varieties to make a rosé wine from, it’s not unprecedented. There are many fine Tannat rosé wines coming from Uruguay, Tannat’s most famous home outside of France. Petit Verdot and Nebbiolo rosés are niche wines found over many growing regions, but particularly in Spain and South Africa. Well, progressive grazing techniques sure are tough to implement when there is snow and ice on the ground. Fortunately, that’s where other plans come in to keep plant and soil health moving forward! Instead of beating our decent pastures to death with hoof prints and equipment tracks, we have selected a “sacrifice paddock” to completely renovate. This field was particularly poor in soil health and eaten up with weeds like parilla mint and broomsedge. When things get to this point, many folks will fire up a tractor and big tillage equipment to tear everything up, then spend gobs of money adding commercial fertilizer and seed. It may or may not get properly established and takes a lot of follow up and financial input. Instead, we are letting our cows do the work. By unrolling hay bales for the cows to eat, we are accomplishing so much at once - livestock impact is distributed how we want, and hooves instead of steel are used to break up and trample weeds. The soil, uneaten hay, manure, and urine mix to form a perfect substrate to broadcast desirable seed in early spring. 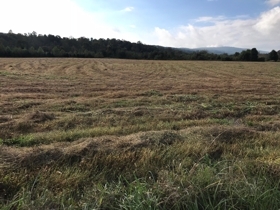 Many times, if quality hay is fed, the field will seed itself. Being spread out, cows don’t have to compete as much for hay and perform better. Dropped or unwanted hay is used as bedding for them to get off of the cold hard ground, increasing cow comfort. This perceived waste in turn acts as a mulch to insulate the soil and gain a few days to weeks of plant growth in the spring. It sure doesn’t look like much at this point, but come spring and summer we will be much better off than the year before. Cows make great workers- you should think about getting one! Pizza is finally here! Every weekend, we now offer from scratch, made to order pizzas. And gone are the days of baguettes for purchase on the counter. You now can order one fresh, out of the oven, brushed with melted butter and sprinkled with sea salt. Locksley Farmstead Cheese plates are also made to order and served with various pickles and condiments along with a charcuteurie option to enjoy separately. Or you can do both! Our Camembert cheese is amazing and to highlight that, we are baking it in the stone oven and giving it a drizzle of apple cider syrup and topping it with cranberries and pecans. These are just a few examples of our new food options in the tasting room. We want your visit to be a special one every time you come to see us so, as the weeks continue, our food offerings will continue to grow as the culinary program progresses. We’ve been hard at work down in the cheese cave developing our very own pizza mozzarella to complement Chef Chris’s wonderful pizza sauce and dough. This process is a bit quicker than that of our other cheeses as there is no aging necessary, but it is a four day intensive process! On the first day we pasteurize the milk, add culture to develop flavor profiles and rennet to cause the milk to coagulate and by the end of the day we have mozzarella curd formed into blocks. On the second day, we cut the blocks of curd into long slivers and stretch it in hot water to align the proteins, then we place it into an ice water bath to help cool and maintain its cylindrical shape. At the end of the day we place the logs of Mozzarella in a brine solution to salt. Early the next morning, the mozzarella is taken out of the brine to dry. Finally, on the last day the cheese should be fairly dry after being in the salt water brine and is then vacuum sealed, placed in refrigeration and ready to use on pizza for the weekend. These past few days have offered a reminder of how unpleasant it can be to spend much time outside. Last night is was 4°F here! Brrrr… It makes me proud of our guys and gals who brave this weather every morning before 6am to bring in our cows for milking. And our vineyard crew that are out in the fields now pruning our vines for the next season and feeding the wood-burning boiler that heats our Norton propagation greenhouse. These are hardy folks who take great pride in their work, and they’re “uptone” and really a pleasure to be around. This got me thinking about when there’ll be an end to this tough time of year and that got me thinking about why I love spring so much. I think I’ve got it! It’s because the winter is over! No, not really; I like all the seasons, yet this time of year does get me thinking about spring, that joyous time when all the apparent lifelessness bursts forth. Spring! Soon come, mon. 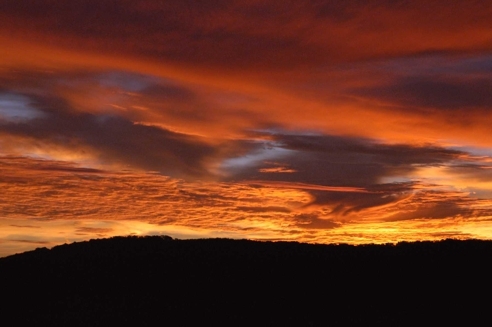 And we’re all hoping that you will soon come to the Ag District Center and share some of these incredible winter vistas with us while they last (that photo above is a sunrise over the Bull Run Mountains). You can get cozy in our warm second floor and gaze out at the pristine Bull Run Mountains. Speaking of getting cozy… and cuddling, too, with your cutie pie… don’t miss our Valentine's Day Weekend Sweetheart Special from Thursday, 2/14 through Sunday, 2/17. Come get a glass of Norton, some pizza and stay warm with us here!